The Ford Thunderbird will go down in history as the car that created an entire market segment: the personal luxury coupe. Since that time, many other auto makers have produced their own version of the Thunderbird. Over time, the segment came to be defined by a few characteristics: an emphasis on luxury and the latest technology, powerful engines with comfortable suspensions, and of course, a 2-door, 4-passenger seating arrangement. Although the American economy went through a recession in the early 1980s, things turned around and the demand for personal luxury coupes was on the rise by the later end of the decade. General Motors had the Buick Riviera, Ford had the Lincoln Mark VII, and Chrysler had resurrected the Imperial name for their 1981-1983 coupe. 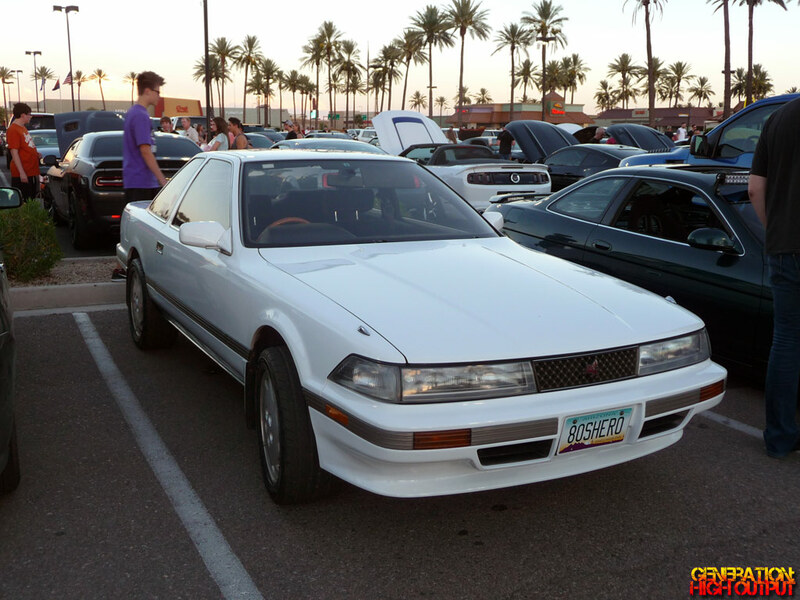 The United States wouldn’t see the Lexus SC400 until 1991, but this car was its Japanese predecessor: the Toyota Soarer Z20. The Soarer was not sold in the United States, and keen-eyed readers will note that this car is right-hand drive. I suspect this vehicle was imported from Japan (or possibly Europe) as it now qualifies under the 25-year rule (see my post about the Toyota Corona 2000GT). 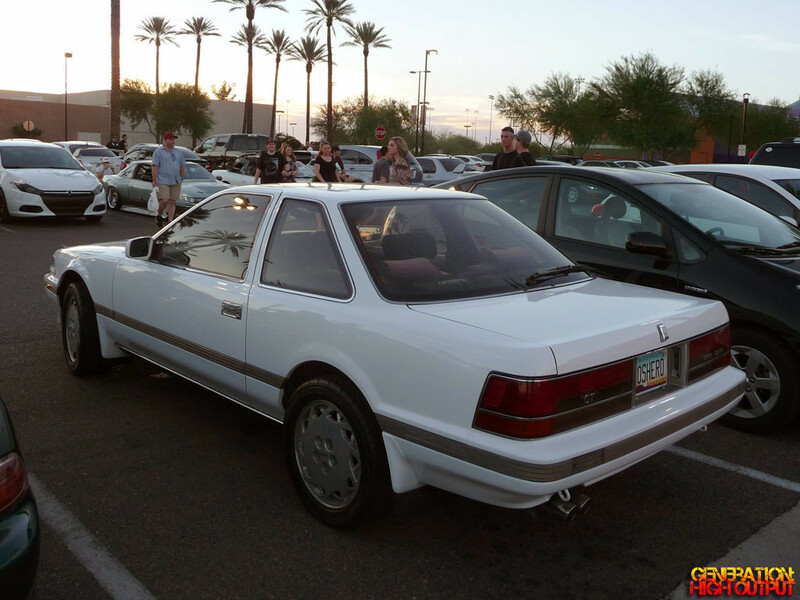 I ran across it at the Scottsdale Pavilions car show one Saturday evening. I think the Soarer is a good looking car. It might seem a little plain by today’s standards, but I think it has aged well. The body-colored mirrors and bumpers seem commonplace today, but they would have really set this car apart from others in the late ’80s. It uses a reliable inline-6 engine coupled to a 5-speed manual or 4-speed automatic transmission and rear-wheel drive. The car was also packed with many high-tech features such as digital climate controls, digital gauges, and even Electronic Stability Control as an option. The Soarer is an interesting look at Toyota’s idea of the personal luxury coupe, and it is a living reminder of what the automotive world was doing before the sport-utility craze of the 1990s happened. 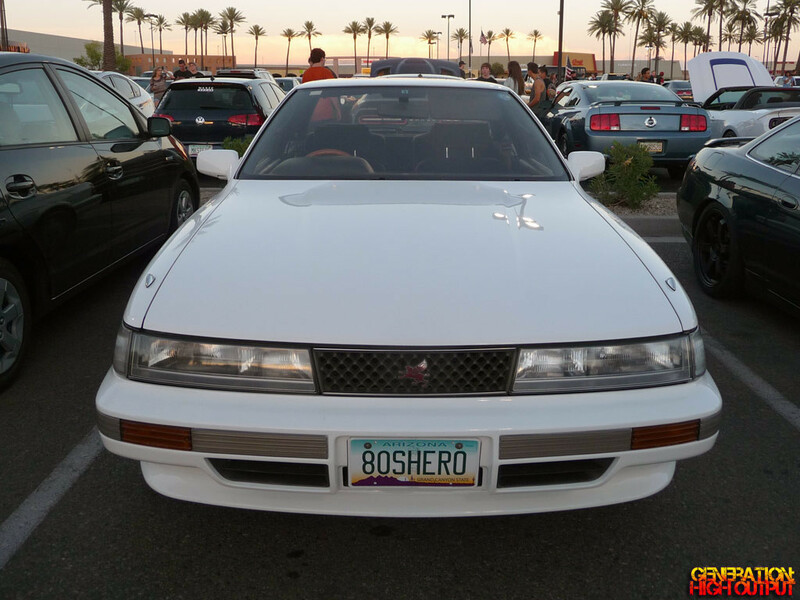 This entry was posted in Not Sold Here, Pavilions and tagged import, japanese, luxury coupe, RHD, Scottsdale Pavilions, soarer, Toyota by Trevor Freeman. Bookmark the permalink.